The pick or plectrum is one of the most important tools of any guitar player, but it’s not the only way to produce sound from the instrument. 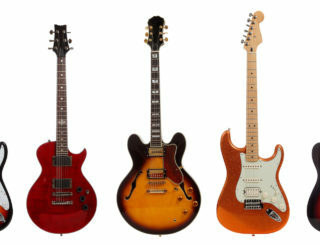 Guitarists often employ the technique of using what are called hammer-ons and pull-offs to produce sound from the fretboard hand (for right handed guitarists this is the left-hand, for left-handed guitarists this is the right hand). 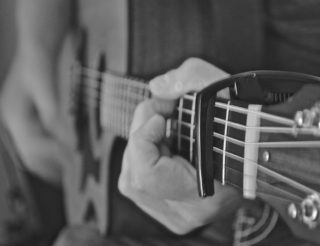 In this article, we’ll discuss the importance of learning this technique and a few exercises to practice and strengthen your fingers. Instead of using a pick to produce the note, you can “hammer-on” a finger, or with two fingers down, “pull-off” the leading one to create the sound of a desired note. From Metal, to Jazz, to Blues, this technique is used everywhere to create a sound of long, smoothly connected notes. This is most commonly described as playing Legato. In Italian, legato literally means “tied-together”. Rock guitarists like Eddie Van Halen or Steve Vai employ this technique to create the lightning fast, smooth, cascading runs they’re so well known for. Buddy Guy and Jimi Hendrix produce their soulful, lyrically connected lines by using this technique as well. If you listen to Jazz, guitarist Kurt Rosenwinkel’s virtuosic technique is the product of working on legato exercises based on hammer-ons and pull-offs. First, what is a Hammer-On? It refers to the sounding of a string, not by picking, but by pressing or indeed ‘hammering on’ an additional finger from your fretting hand. Try this: put your first finger down on the 3rd string, 5th fret (the note C) and “hammer-on” your 3rd finger on the same string, 7th fret (the note D). Did you make a sound? If you did, you’ve successfully played the note D with a hammer-on! Now trying hammering on your 4th finger (pinky) on the same string, 8th fret (the note D#). If you made a sound, congratulations on playing another hammer-on! You may have noticed that the last hammer-on was a little more difficult to play. That’s because the muscles between your middle, ring, and pinky fingers are much weaker than the ones between your first and middle finger. These muscles will get stronger the more you practice these hammer-ons, so don’t worry if it feels a little weak and uncomfortable at this point. The idea of playing legato and using hammer-ons and pull-offs is quite simple, but learning to play clear distinct lines is a little more difficult. Practice very slowly to make the notes come out even and clearly without the use of a pick. Pull Off, which is effectively the same but in reverse – you pull hard off the string to create a sound. The art of crafting guitar lines using a combination of these techniques falls under another umbrella term which you may well have heard before: legato. Following our previous example, plant your middle finger down on the 3rd string, 7th fret and your pinky on the same string, 8th fret. Now try to “pull-off” your pinky while your middle finger is still planted down to produce the note D (7th fret). With this technique, your leading finger (in this case your pinky) acts similarly to a pick by “pulling-off” on the string to play a given note. Now try pulling off your middle finger with your first finger planted on the first fret to produce the note C.
How to Improve Your Technique? 1 – One technique is to focus on finger placement. Though we’re told to do this at all times while playing, it is very important when learning to play with hammer-ons. Making sure that you land squarely and precisely on the tip of your fingers ensures your note will come out strongly and clearly. 2 – Pay attention to is where you actually hammer your finger down on the fret. If you think about how a fret actually functions, it shortens the length of the string when you press down and the string touches the fret itself. People often press in the middle of the fret leaving space between their finger and the metal of the actual fret. This leaves more room for error and a need to press harder to create the note. 3 – If you place your finger right up against the metal of the fret when you hammer down, it takes much less effort to create a clean, clear tone and in turn you’re able to play more lightly, quickly and freely. Here is an example of a G major scale played with hammer-on’s and pull offs. Notice: how the fingers are right up against the fret. Also, the only time the pick is being used is to create the sound of the first note on the string. The following tones are all created via the fretboard hand using either a hammer-on or pull-off. Try playing through all your scales using this technique. Remember to go slowly and try to play as precisely as possible. 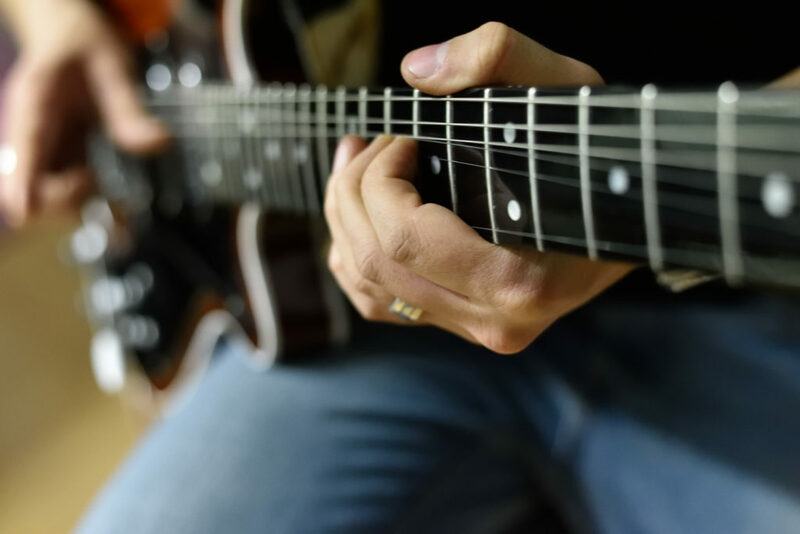 If you go slowly and focus on planting your fingers on the fret board squarely and on the tips then you’ll have a much easier time playing precisely when you try to speed up. Another great exercise is what is sometimes called reverse hammer-ons. This is much more of a practice to strengthen your fingers and help with clarity going down than something that is used while actually playing. As you’re practicing hammer-ons and pull-offs, you’ll realize that pull-offs are much more difficult to play loudly and clearly than hammer-ons. One way to work on and remedy this is to play your scales going backwards with hammer-ons. I use this simple exercise and focus on making a sound with hammer-ons in reverse. These exercises take a long time to get a clear even sound. I still often struggle with getting the sound to be even if I haven’t kept up with the exercises. With daily practice though, you’ll see that your picked notes actually become clearer because the sound not only comes from your pick, but your fretboard hand too. You’ll also be able to play a lot more smoothly and lyrically. 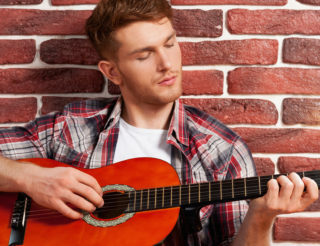 Guitarists often pick every note and play more Staccato, or short notes, that sound choppy. Playing legato promotes a much more fluid lyrical quality. I’ll leave you with an example of some more legato playing employing hammer-ons and pull-offs. Happy practicing and happy playing! Here is a full video instructional on Hammer-On & Pull-Offs: watch & learn! If you have any ideas, tricks or techniques, please do share with us in the comments section below.